Davidstowe,Cornwall, October 2016. 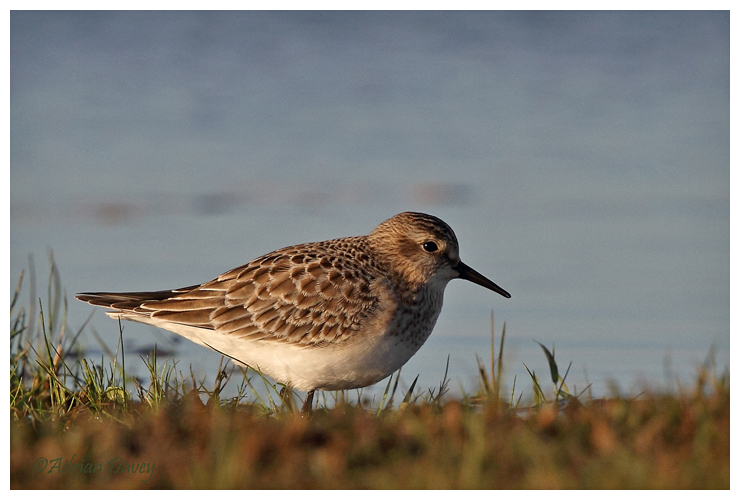 This juvinile Bairds Sandpiper was found on the airfield feeding alongside Dunlin and Ringed Plover. A small wader that breeds in North America and winters in South America.It showed very well and I photographed it from the car after parking some way ahead of it and waiting for it to come to me.